Henry has been playing and p erforming music for over 20 years. Whether it is in a band, ensemble, choir or as a soloist, he has performed in all environments from cathedrals in London to bars in New York. Since finishing school and being awarded the highest performance grade for TEE Music, he completed a Diploma of Music (Performance) and Bachelor of Commerce at the University of Western Australia. 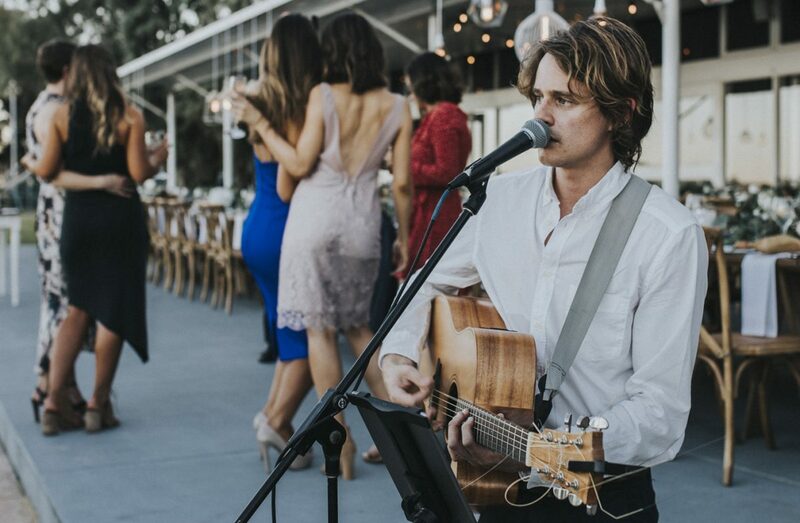 Henry has been performing at weddings and functions for nearly 10 years, particularly in Perth and Margaret River, and has been fortunate play at some beautiful settings like Mosmans Restaurant, Lake Cave, Matilda Bay Restaurant and Brookland Valley. He has performed at countless corporate functions for clients such as Bankwest, Ray Ban, Rio Tinto and American Express, to name a few. Aside from performing solo, Henry is also the lead singer of prominent surf-rock band, Stillwater Giants. The group has toured nationally and internationally, supported acts like Birds Of Tokyo, The Rubens and Sticky Fingers (to name a few) and have featured at numerous music festivals such as Southbound, Parklike, Future Music, St Kilda Festival and CMJ Music Marathon. After originally being unearthed by Triple J to play the Groovin’ the Moo festival and being selected as a Triple J Unearthed Next Crop Artist, the band has also had national and international airplay success with radio statio ns such as Triple J and numerous international radio broadcasters. The group was also nominated for a WAMI Award in 2013 (Best Single Release). Henry has recently embarked on a new solo project called ‘Duncan Saige’ which has successfully toured WA. The new music has scored airplay and high rotation on Triple J and Triple J Unearthed as well as other key community radio programs across Australia. Duncan Saige has also made appearances at Falls Festival 2018, Fremantle Folk Festival and WAMFest.